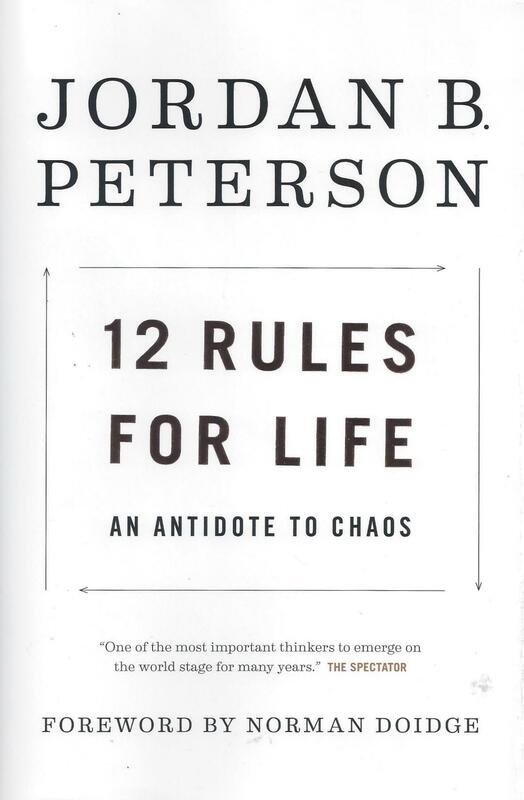 My book club is reading Jordan Peterson’s 12 Rules for Life; An Antidote to Chaos. As part of this reading program I have been listening to various interviews of Peterson and a recent one, taken from a talk and interview at Lafayette College , caught my particular interest. After a lengthy and colorful introduction by the moderator, Peterson posed a question to the audience. I am going to tell you what I heard in my own words, but I highly recommend you listen to his comments for yourself. So called “right wing thinking” is concerned about establishing hierarchies (which are necessary for survival and for society to function), while “left wing thinking” focuses on equality and fights for the bottom tier of the hierarchies that have been established (which is also necessary). He went on to say that we know where “right wing thinking” crosses the line into extremism: when they claim one group (usually their own) is intrinsically superior to other groups. Peterson then asked the question: Where is the line for extremism on the left? To compel a certain kind of speech and thinking because it’s the only way to get people to comply with their demand for equality of outcome. What Has This to Do With the Old and the New Testament? Note: I’m not especially interested into entering into political discourse, important as that may be, but I am interested in how Peterson’s comments affect my thinking about the history of Judaism and Christianity described in the Old and New Testaments. I will confine my remarks to that subject. I thought about the points Peterson made, and it struck me how this analysis parallels what I see in the Old and New Testaments. In the Old Testament, when primarily describing God’s dealing with His chosen people Israel, he clearly sets up hierarchies: indeed he set up a political one and a religious one each of which acted as a balances to the another. This structure enabled the Israelites to survive despite encountering many enemies and suffering under the afflictions they caused whether it be slavery in Egypt or captivity by Babylon. Even under the heel of the Roman Empire, their identity and cohesion as a people was preserved. When I look at it, the hierarchies in their culture and in their relationship to outsiders contributed positively to their survival and cultural cohesion. However, there was potentially the possibility of crossing the hierarchical line that Peterson articulated. When Jesus came, he seemed to turn everything on its head. He came in at the lowest tier—as many thought—the illegitimate son of a Galilean carpenter. Yet Christ, while not destroying the Jewish hierarchy, taught that to be a leader in His Kingdom, the leader has to be servant of all. This seems very much like fighting for the lowest tier. Given Peterson’s analysis, it’s striking to me how Christ came to restore a sense of balance to the hierarchies and keep the Jewish people (and hopefully Christians as well) from crossing the line into extremism where “chosen people” comes to mean “as a people we are superior.” This has been helpful to me because it shows a natural progression in the Old and New Testaments and shows how hierarchies and fighting for the lowest tier are both essential for balance. Disclaimer: I know Professor Peterson has delivered some lectures on biblical topics. I have not listened to any of them. The Game Changers is a powerful and moving book that gives a snapshot of the lives of key leaders, healthcare workers, and teachers in Uganda as they struggle to solve the huge problem mother-and-child deaths during pregnancy and delivery. Through the lives of front line workers, Dr. Jean Chamberlain-Froese (the founder of Save The Mothers) and Patricia Paddey (a journalist) provide heart-wrenching accounts of the magnitude of the problem as well as a look at the courageous men and women that are working to solve it in East Africa. This book will move you and also give you a sense of hope as you see the commitment of these Ugandans, see how their deep faith moves them to action, and marvel at the progress that has already been made. It will also leave you (as it did me) with a profound sense of gratitude that we are not forced to go through the same trials here. The Gamer Changers is worth reading several times and can also be picked up and read in short sittings. I highly recommend it.